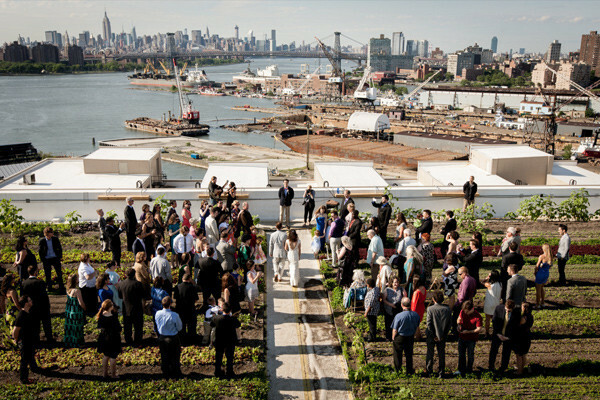 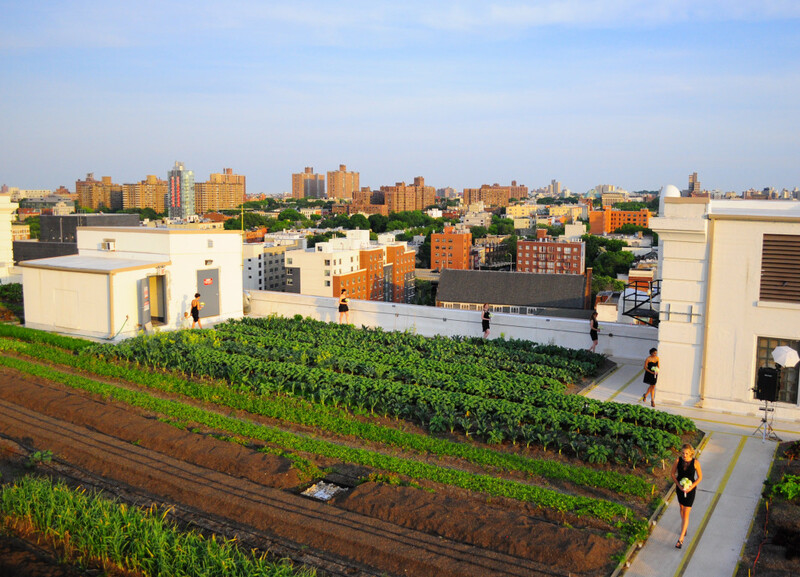 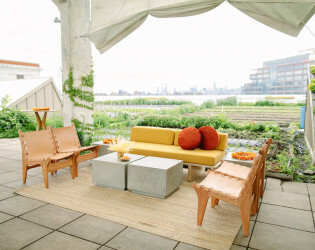 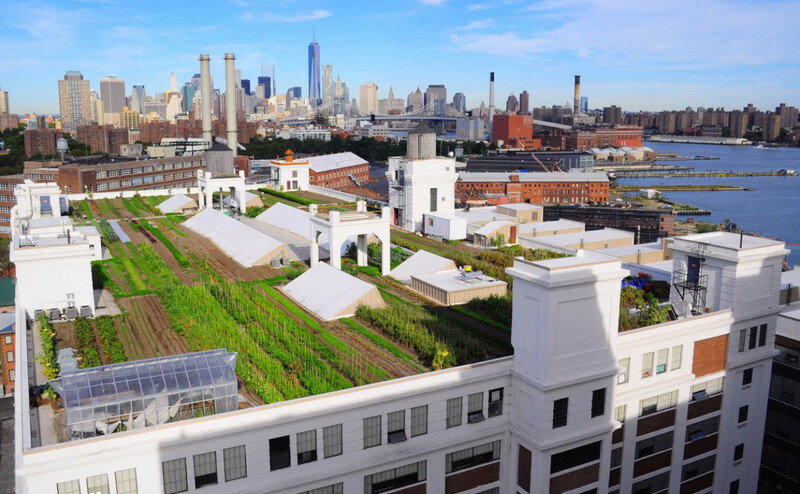 Dine by the light of the Manhattan skyline at the world's largest rooftop farm. 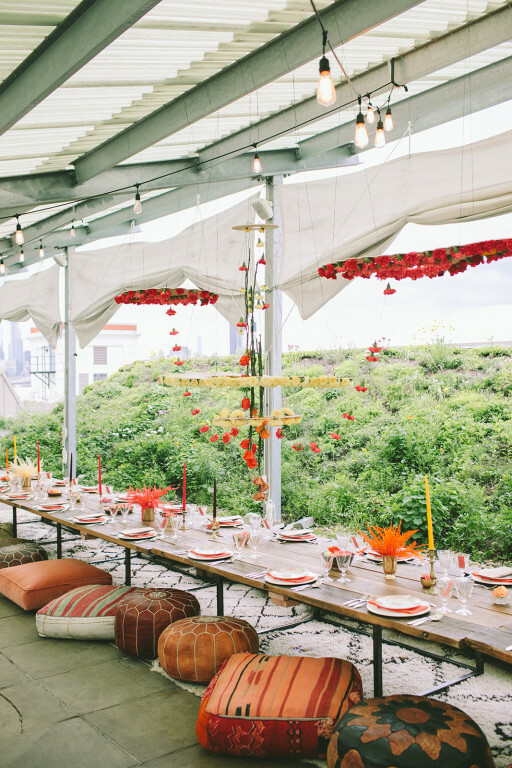 Urban jungle-turned-fanciful garden, have your next dinner party or intimate gathering here amidst their secret gardens under a blanket of stars. 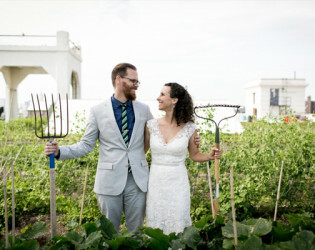 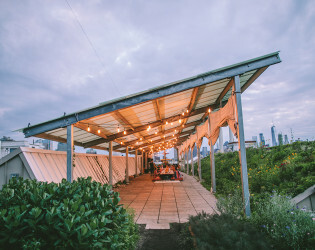 With herb-scented breezes and breathtaking views of the City, our farm’s private rooftop venue provides a unique and memorable setting for your next event. 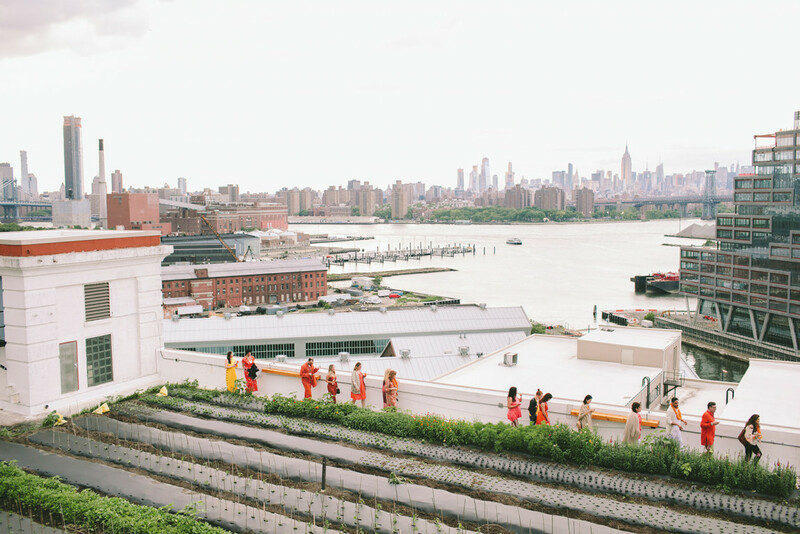 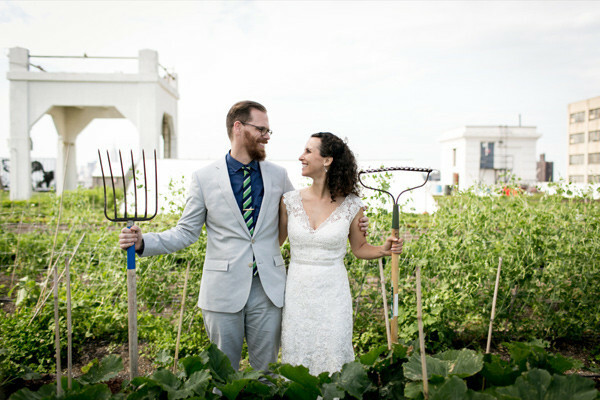 Be it a rehearsal dinner, bridal brunch, or wedding, you and your guests are sure to have an experience like no other at our stunning rooftop farm. 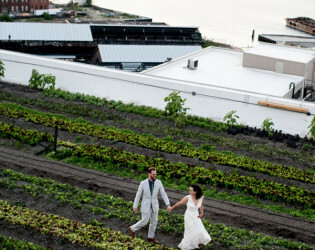 BROOKLYN NAVY YARD FARM The Brooklyn farm, located atop Building no. 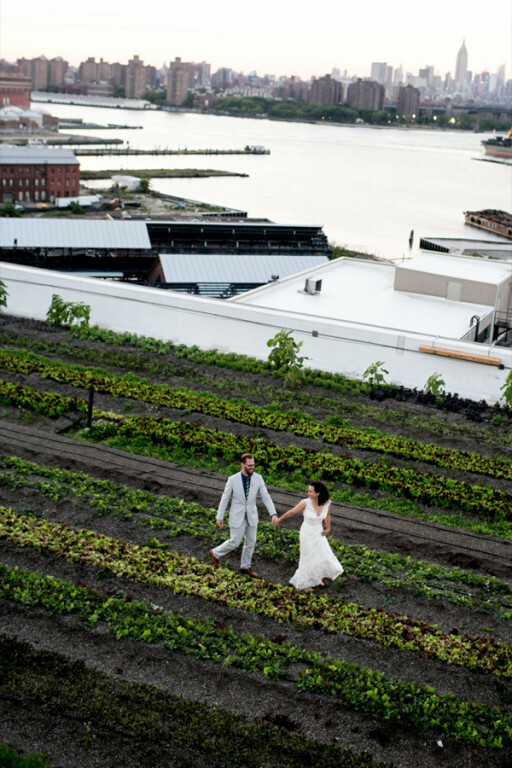 3 at the Navy Yard, is 65,000 sq feet and boasts sweeping views of the dock, East River, and downtown Manhattan. 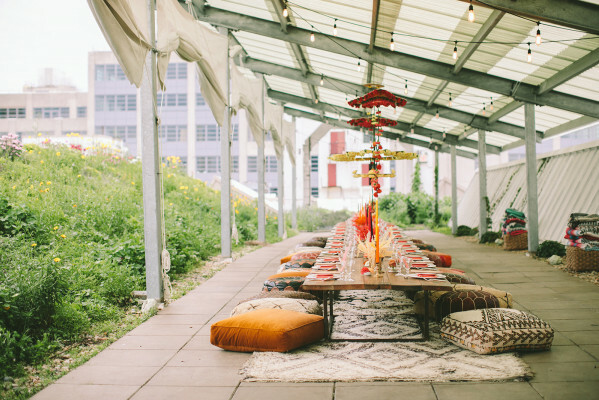 There is a large, tented paved deck in the center of the farm perfect for tables/seating and/or a dance floor. 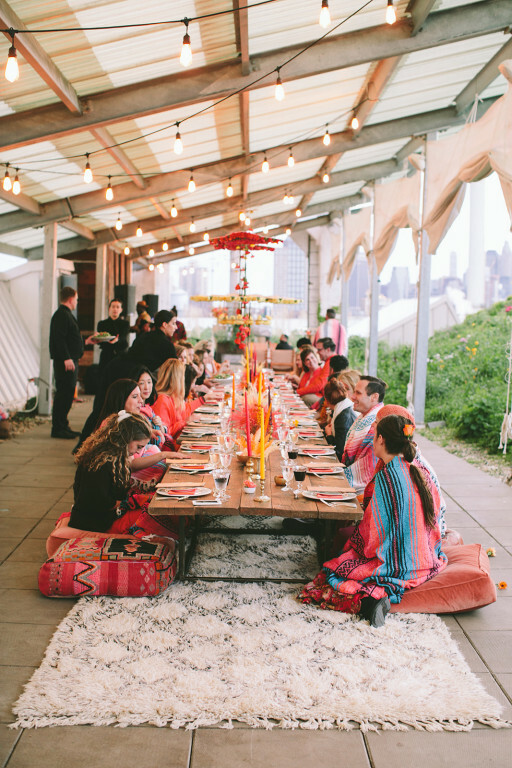 We have relationships with some of the best rental companies, event stylists, chefs and floral designers with whom we can partner. 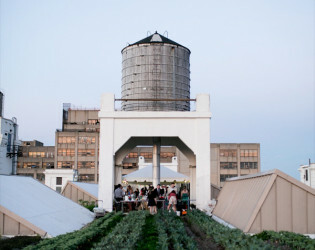 There is free on-site parking on private grounds. 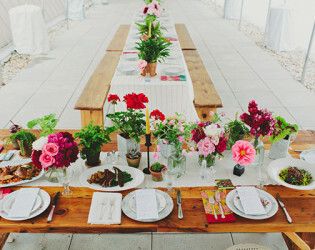 Our site fee is not inclusive of rental or catering costs. 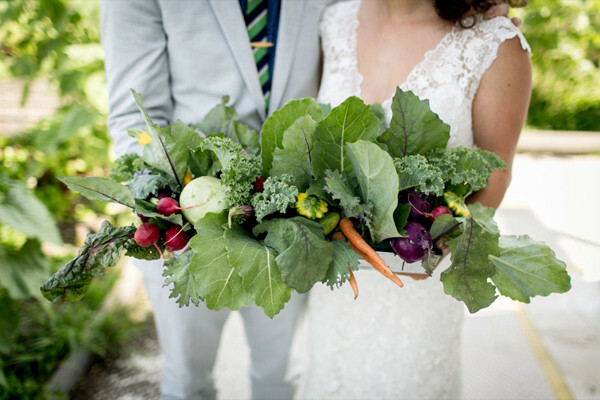 We work with a variety of preferred caterers who can accommodate a range of budgets and all love to incorporate our farm fresh produce into their menus. We have a list of floral designers and musicians who are also experienced with our space and contribute to a magical evening on the farm, who we are happy to recommend. 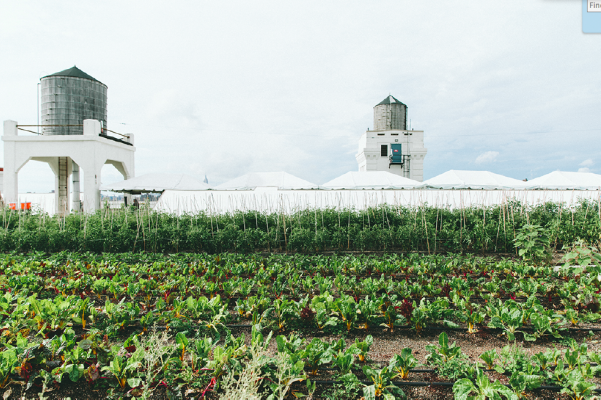 Brooklyn Grange is closed November through April. 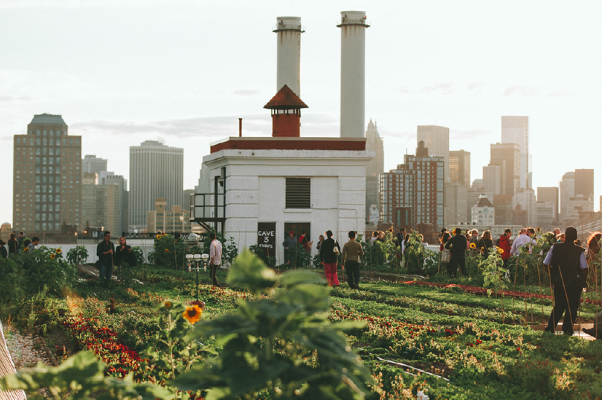 The sunflowers are eight feet tall in August and September. 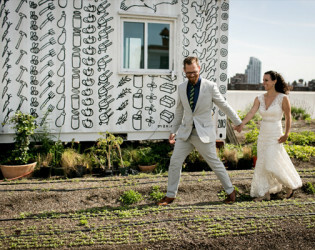 The first steps onto our farm are magical. 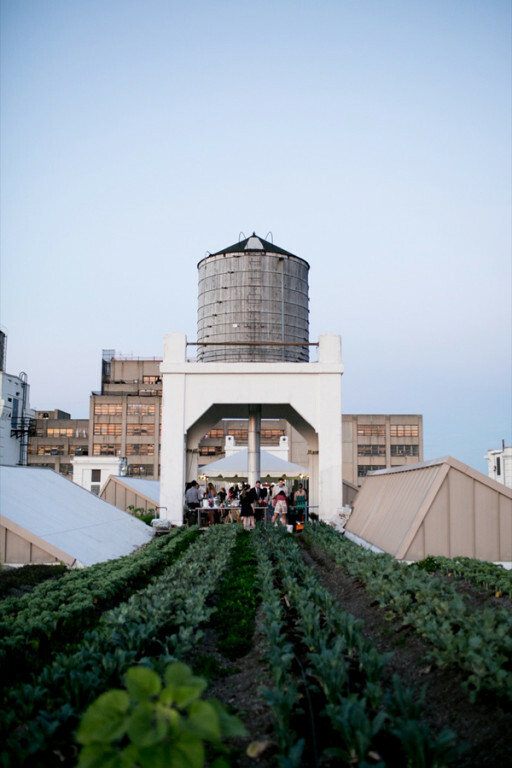 After riding an elevator to the top of an unassuming industrial building, guests emerge onto the farm and face breathtaking views; rows upon rows of bountiful vegetables meet the eye before a stunning view of the city. 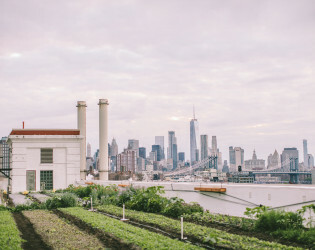 Scents of summer herbs adorn the fresh breeze as you make your way across the farm to the heart of the event space, rows are neatly marked and Brooklyn Grange staff is at hand to answer questions from curious guests. 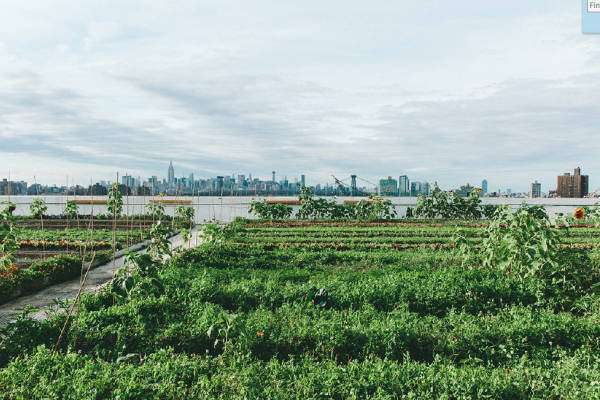 Our 1.5 acre Brooklyn farm is situated in the heart of the Brooklyn Navy Yard and overlooks sweeping views of the East River and Manhattan. After exploring the farm, guests watch the sun set over Manhattan as the city lights come to life. 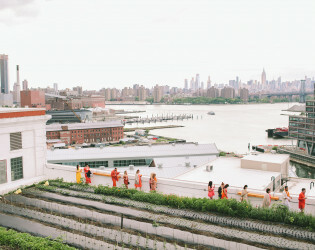 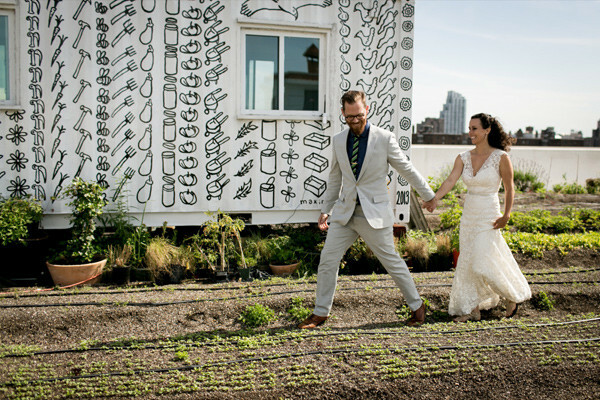 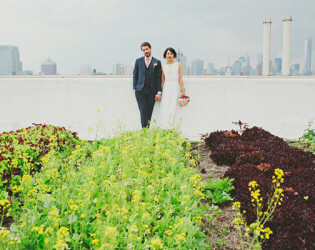 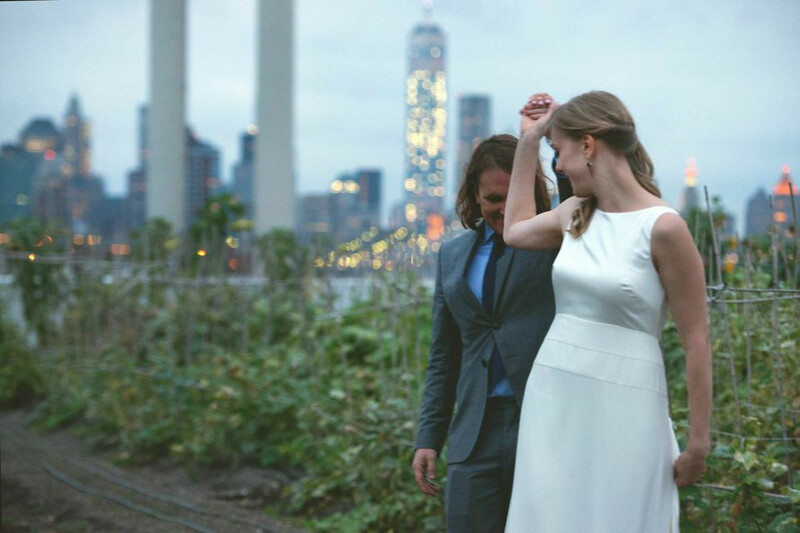 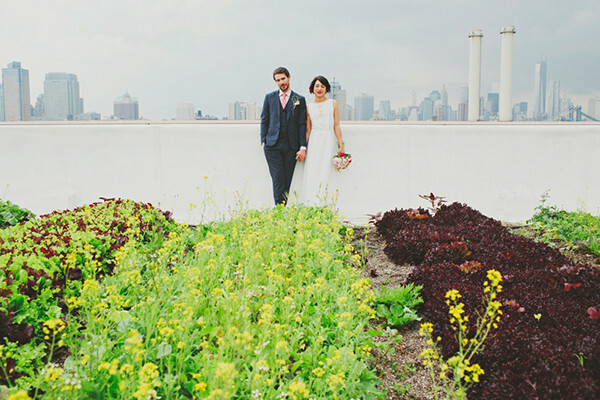 A wedding ceremony with this green and urban backdrop is not to be outdone. 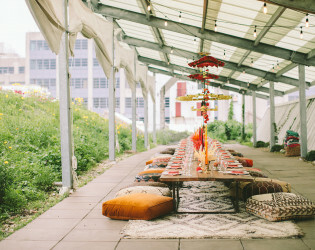 The heart of events at this location is the central paved patio; strung with lights and covered to safeguard against summer sprinkles, this space is the perfect venue for a banquet dinner, cocktail hour, or wedding celebration. 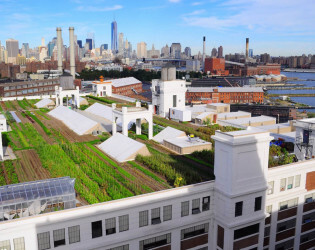 We are the world's largest rooftop soil farm. 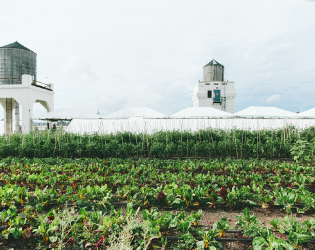 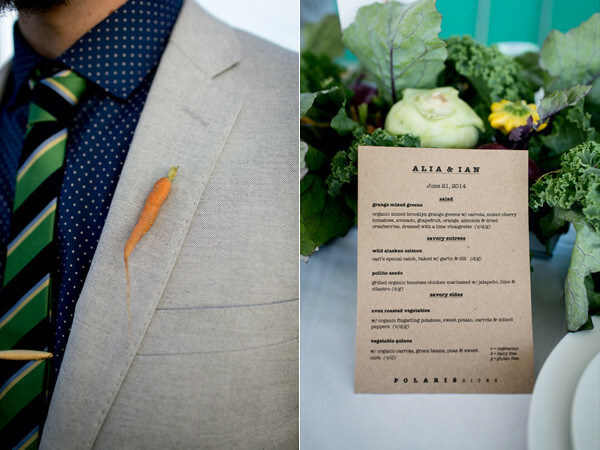 Our chefs will incorporate fresh produce from the farm into your menu. 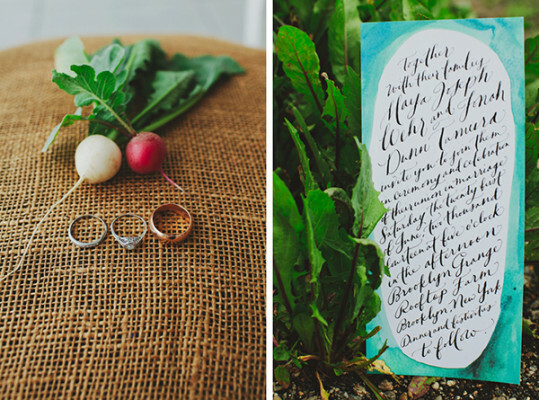 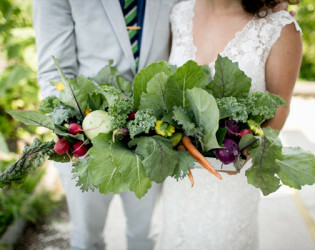 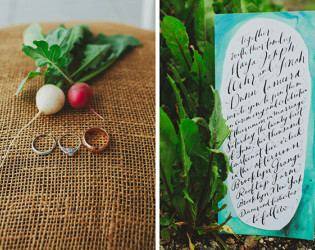 Don't forget to let your guests know that the salad they are eating was cut from the greens growing five feet away from where they're standing! 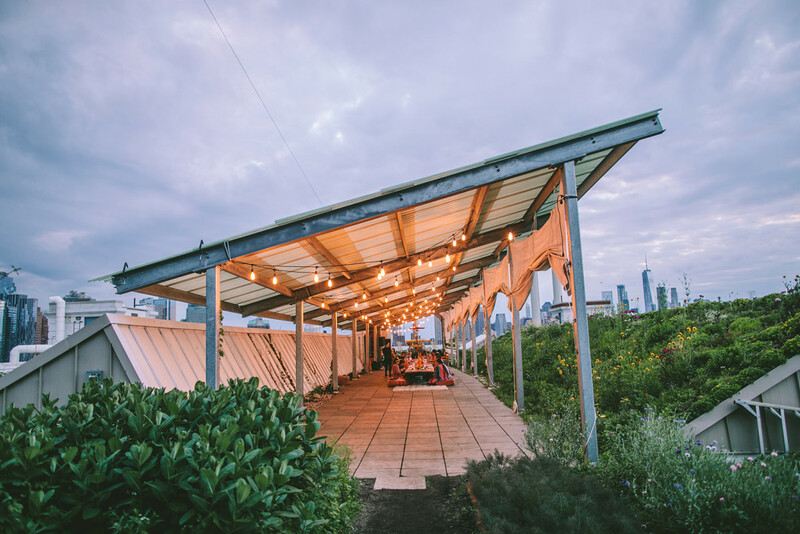 We provide a 16ftx120ft tent over the center paved deck and LED string lights throughout the tent. 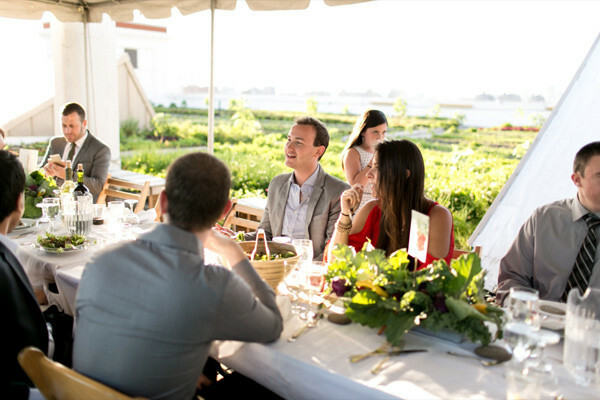 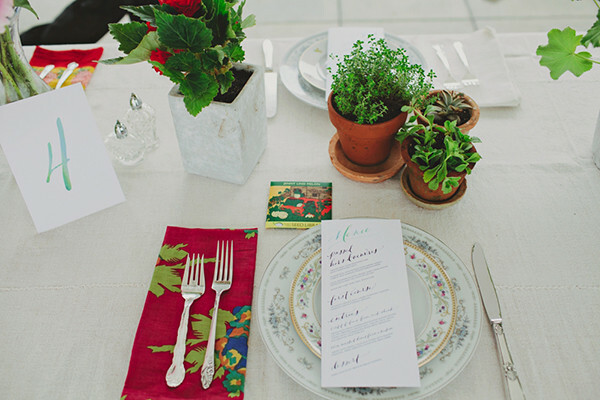 Time flies when hosting one-of-a-kind, boundary pushing and beautiful dinner parties. 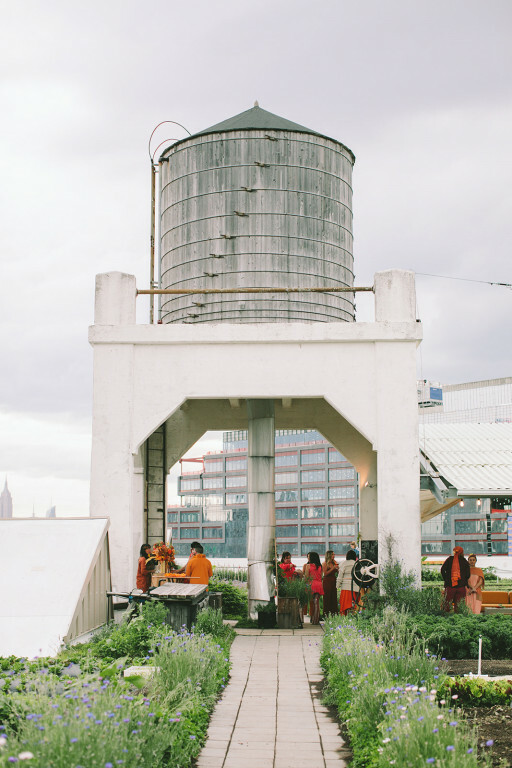 The 5th installment of Jove Meyer’s Planners Dining Club is here and we can confirm, inspired. 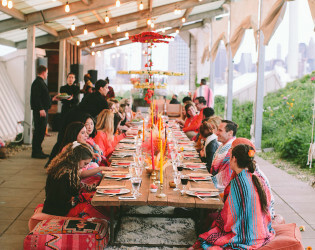 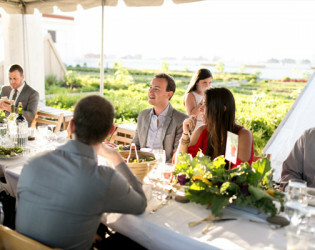 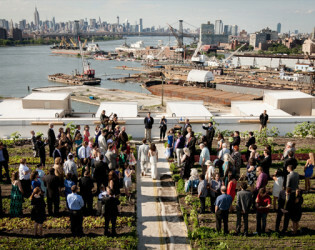 While previous dinners imagined by Jove and NYC’s finest creatives have all been original masterpieces, this installment of the PDC is unique for a few reasons: it was the first outdoor dinner, it was on a rooftop farm and it was perhaps the most globally inspired. 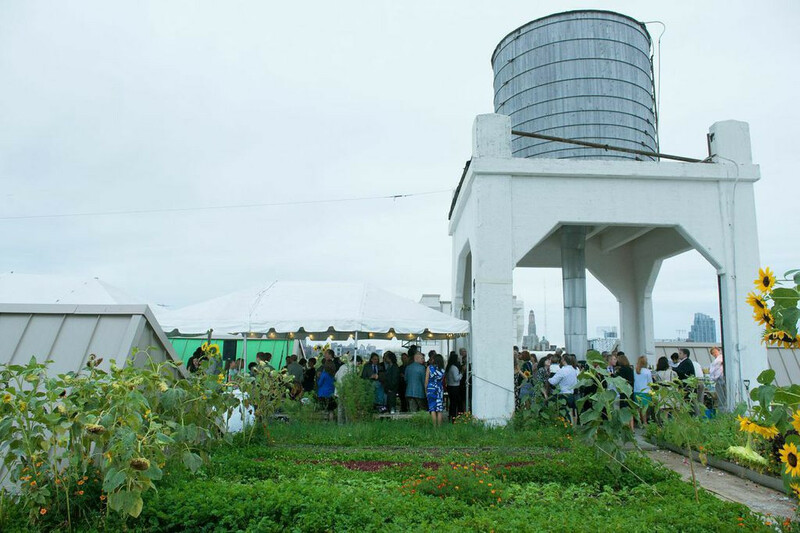 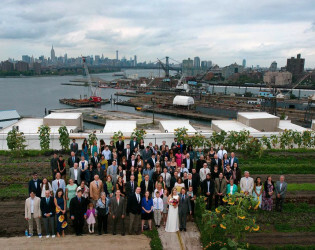 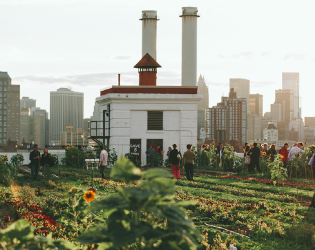 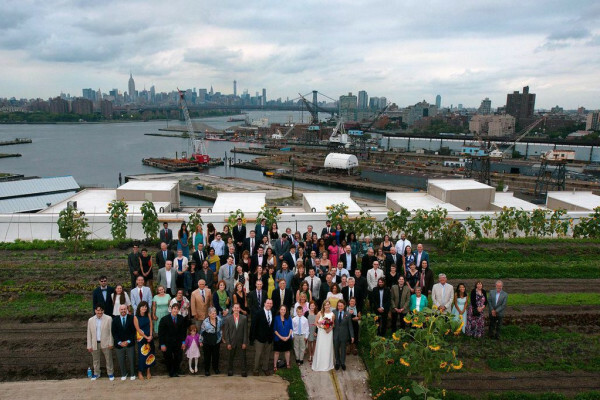 Brooklyn Grange, a fully functional and sustainable urban rooftop farm overlooking the Manhattan skyline, hosted the planners that created this magical evening lending its vegetable beds and towering sunflowers to the occasion. 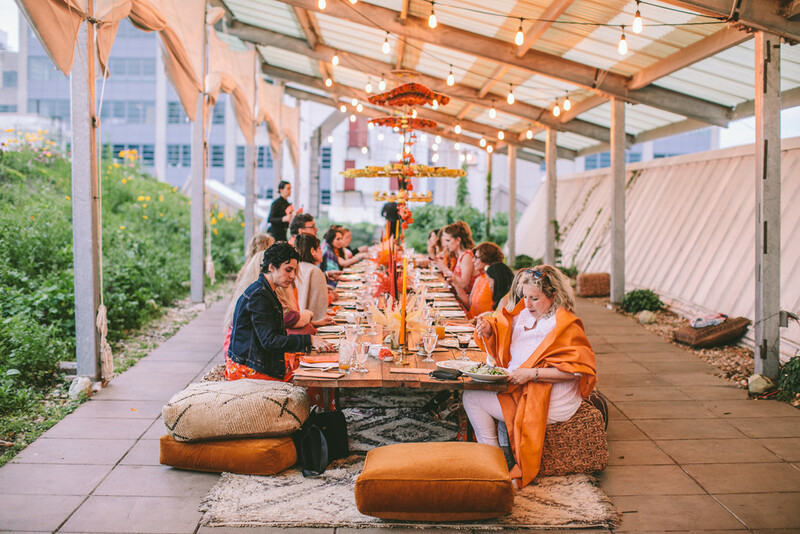 Fig & Pig created a menu that transported guests to Italy while Jove drew design inspiration from the documentary Wild Wild Country, a story about an Indian guru’s new life in the United States. 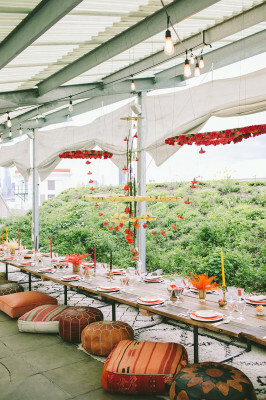 Warm tones of yellows, oranges and reds were woven throughout the floral designs of East Olivia and rich materials were brought in by Fourteen-Forty, Patina Rentals and Broadway Party Rentals. 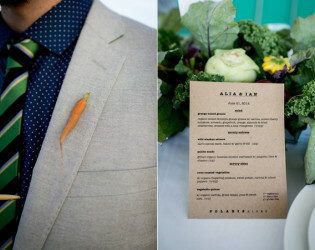 The jovial tone of the evening also carried over to the band who dressed accordingly. 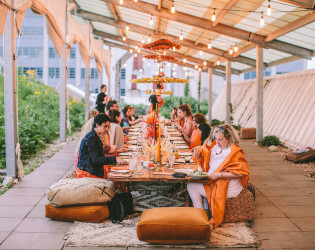 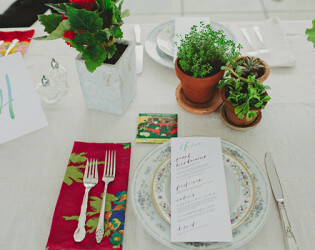 Taking place as spring transitioned to summer, the genuine warmth of this dinner, captured by Isabelle Selby, is once again proving the importance of coming together to create, enjoy and connect. 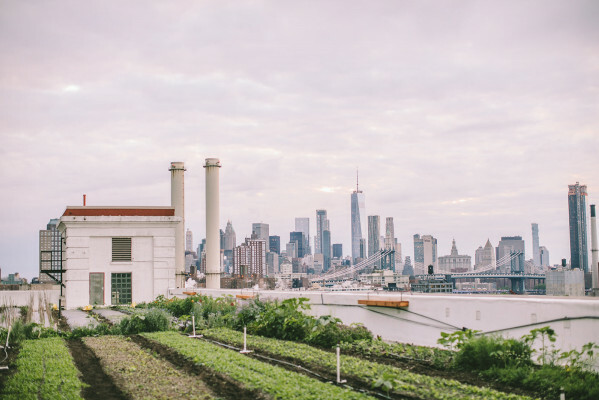 We spoke with Jove about creating this experience in Brooklyn, his inspiration and all who contributed their time and talents. 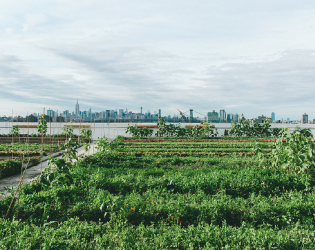 Our 1.5 acre Brooklyn farm is situated in the heart of the Brooklyn Navy Yard and overlooks sweeping views of the East River and Manhattan. Scents of summer herbs adorn the fresh breeze as you make your way across the farm to the heart of the event space, rows are neatly marked and Brooklyn Grange staff is at hand to answer questions from curious guests. 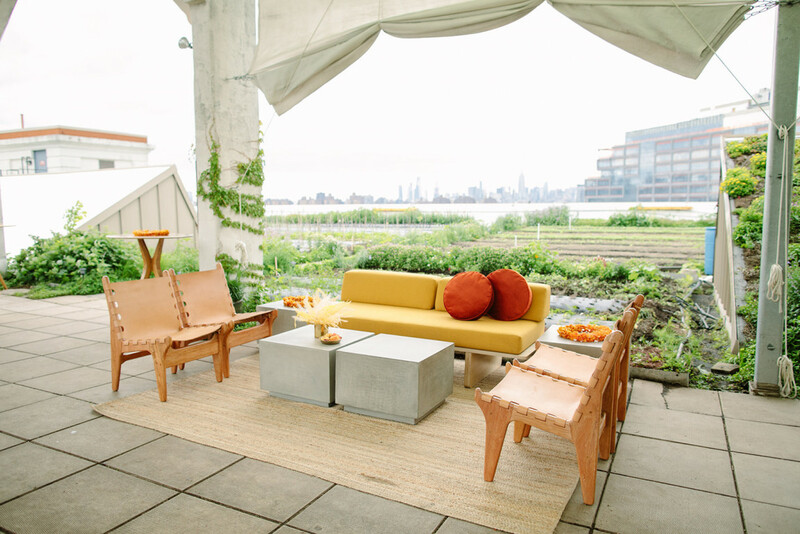 With herb-scented breezes and breathtaking views of the City, our farm’s private rooftop venue provides a unique and memorable setting for your next event. 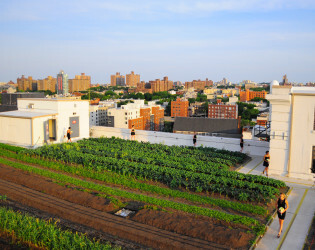 The Brooklyn farm, located atop Building no. 3 at the Navy Yard, is 65,000 sq feet and boasts sweeping views of the dock, East River, and downtown Manhattan. 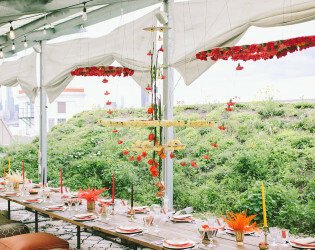 e have a list of floral designers and musicians who are also experienced with our space and contribute to a magical evening on the farm, who we are happy to recommend. 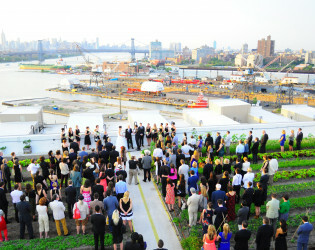 The heart of events at this location is the central paved patio; strung with lights and covered to safeguard against summer sprinkles, this space is the perfect venue for a banquet dinner, cocktail hour, or wedding celebration. 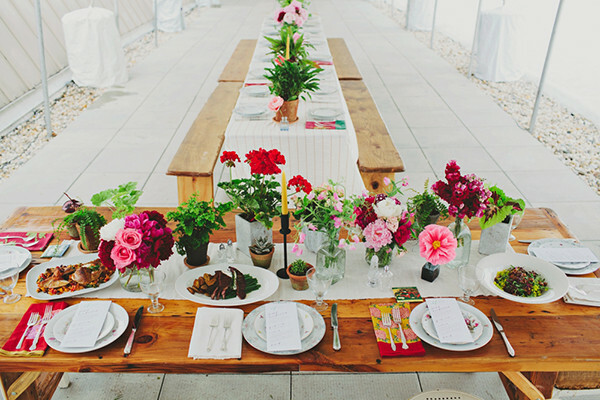 We have relationships with some of the best rental companies, event stylists, chefs and floral designers with whom we can partner. 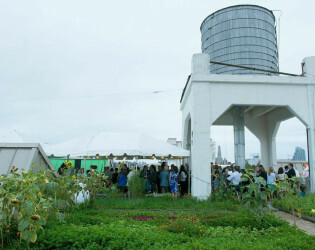 There is free on-site parking on private grounds. 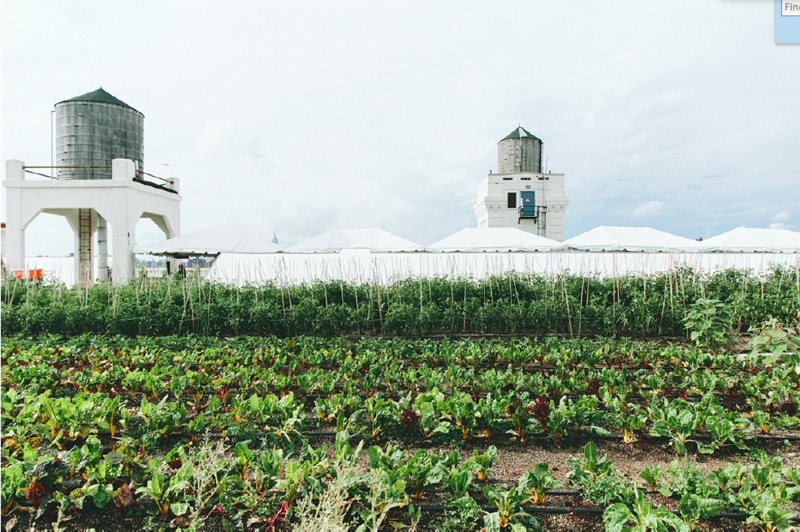 Tent tops | Our chefs will incorporate fresh produce from the farm into your menu. Rows upon rows of bountiful vegetables meet the eye before a stunning view of the city. 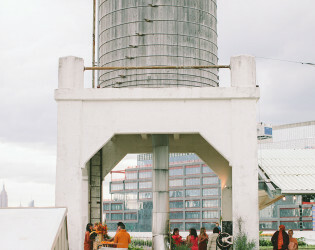 After riding an elevator to the top of an unassuming industrial building, guests emerge onto the farm and face breathtaking views. 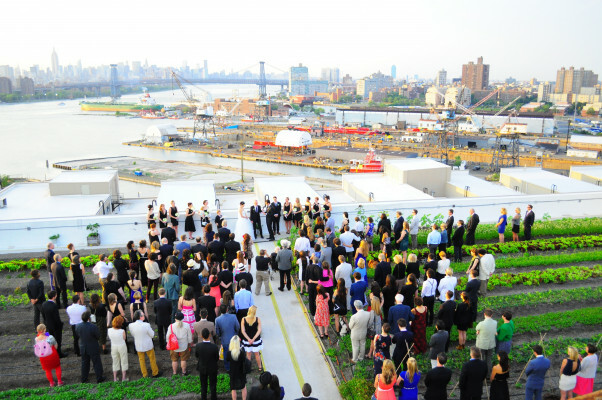 Be it a rehearsal dinner, bridal brunch, or wedding, you and your guests are sure to have an experience like no other at our stunning rooftop farm. 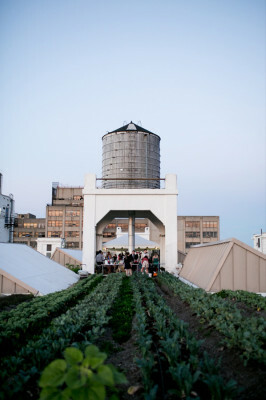 After exploring the farm, guests watch the sun set over Manhattan as the city lights come to life.